Debra Kaatz, author, acupuncturist, shaman, healer, musician, gardener, lives a life devoted to learning about healing. Her quest has taken her to far away lands and into the presence of famous masters. 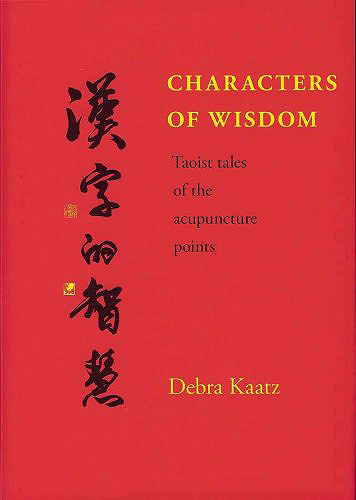 She has authored a western acupuncture classic Characters of Wisdom: Taoist Tales of the Acupuncture Points. She’s a respected teacher in more than one healing tradition. To help us understand her better, let’s take a look at how acupuncture came to the western world. In the first bloom of the Chinese communist revolution Mao dismissed acupuncture as superstition. Practitioners were ridiculed and put out of business. But while Mao was trying to banish traditional Chinese medicine from China in France the first European acupuncture association was organized as well as the first international congresses for its practice. In less than a decade over thirty acupuncture associations flourished in France, along with Germany’s first. Ten years later acupuncture reached England. But this wasn’t the first time that acupuncture became a fad in Europe. At the beginning of the 19th century missionaries and diplomats in China investigated acupuncture, translated Chinese medical texts, and a few became practitioners and instructors. Acupuncture was a fad in France and within ten years in Italy, Germany, and England, too. But the fad didn’t last. As the second half of the 19th century unfolded acupuncture was forgotten in a world of light bulbs, typewriters, and telephones. Eventually Mao changed his mind about acupuncture, declaring it a treasure; but the theory was updated to better fit the materialistic criteria of his political theory. And so Chinese practitioners trained in China reject the idea that certain points in acupuncture can be used to remove ghosts possessing a patient, while European practitioners experiment with the traditional spirituality and metaphysics of acupuncture. 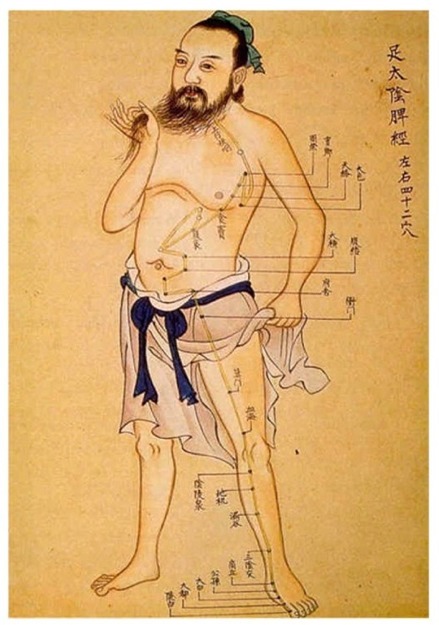 Acupuncture was practiced in obscurity in America ever since the arrival of the first Chinese immigrant workers imported to build the railroads. Ing Hay, for example, emigrated to a mining town in Eastern Oregon to dig for gold, but seeing the plight of his people who were without doctors he studied traditional Chinese healing. Some of the herbs preserved in the museum where he used to practice are so rare they’ve never been identified. When in the next century Miriam Lee arrived in California she was a middle aged Chinese expatriate who had lived in Singapore most of her adult life She got a job working in a factory on an assembly line. Acupuncture was illegal in the United States then, along with other traditional practices overrun by modern medicine. She took up acupuncture again only because of a friend’s desperate need. Lee’s treatments were so effective she soon had clients lining up. In 1974 she was arrested for practicing medicine without a license. Her patients filled the court room with protests and testimonials. A few days later then Governor Reagan gave acupuncture legal status as an experimental procedure. In 1976 Governor Jerry Brown made it legal. At the height of her practice Miriam saw ten patients an hour eighty hours a week. She also founded the Acupuncture Association of America. President Nixon’s visit to China brought acupuncture to the attention of America. A famous demonstration of major surgery on a fully conscious patient pain free thanks to acupuncture turned out to be a fraud. Drugs had been administered surreptitiously. Later the BBC would feature another such demonstration which would also later be debunked. These publicity stunts didn’t harm the practice of acupuncture as people all over the world discovered for themselves its benefits. Thanks to an Englishman, a form of acupuncture with a decidedly metaphysical dimension now has an international following. 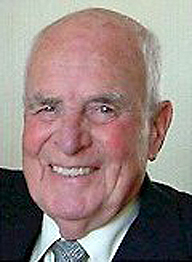 J.R. Worsley came back from China in the 1950’s with Five Element Acupuncture. He claimed this was an earlier form of the practice, centered on healing mind and spirit, as well as body. Reading pulses for diagnosis here approaches the psychic sensitivity of mediumship and the dream time of shamanism. Academies in several countries teach Five Element Acupuncture. One of the things I find most fascinating about acupuncture is how many women have been drawn to the practice. 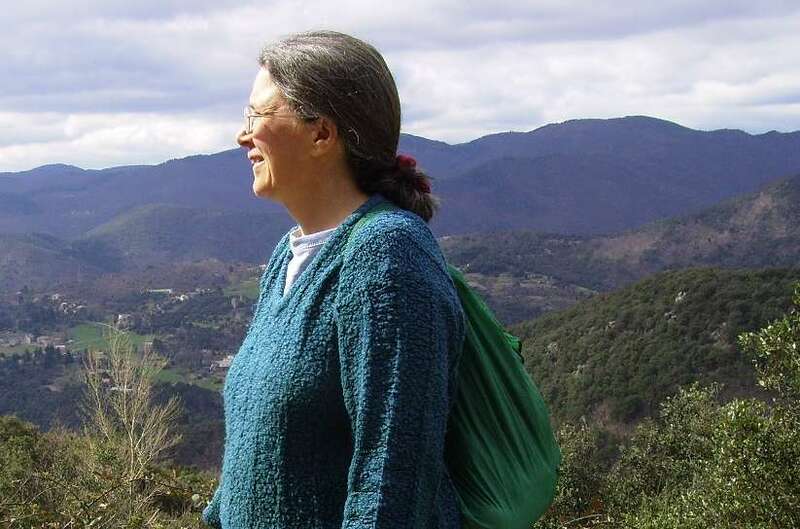 Prolific author Elizabeth Rochat de la Vallee has emerged as one of our preeminent western writers on the subject of the classics of traditional Chinese medicine, making available literature on healing never before accessible to people who can’t read Chinese. The list of practitioners of Five Element Acupuncture on 5element.com is predominately female. Explore some of their web pages and you’ll find many use other methods to augment their healing practices. These extraordinary women’s accomplishments may include study of Japanese and Korean acupuncture systems, mastery of a martial art, and long apprenticeships with curanderas or shamans. Some have experience with herbal healing recipes at all stages of preparation from planting to harvesting, from distillation to dosage, like Debra Kaatz. Debra was born in Denver, Colorado. At nineteen she went to England to study at East Anglia University in Norwich. After graduating she spent the next twenty years in the UK working as a music and drama therapist. 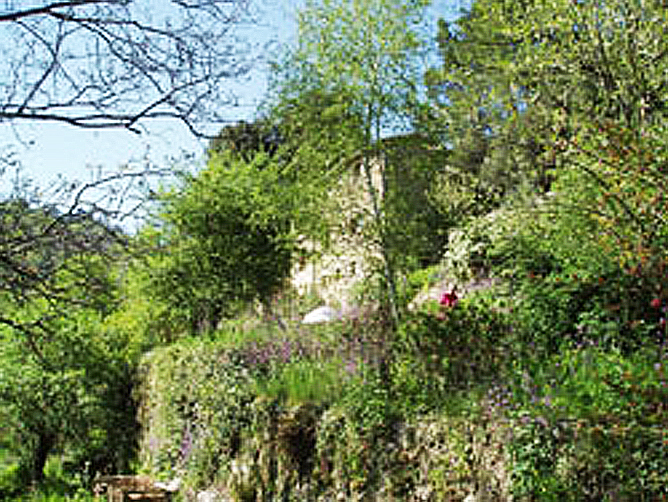 Then she moved to France where she rehabilitated a ruin, cultivated a medicinal garden, and started a school. There she lived until this year when teaching commitments brought her back to England. Debra studied acupuncture first with Suzanne Burnell, then briefly in London and finally did some clinical work in Colorado. It was at this time she collaborated with both Elizabeth Rochat de la Vallee and J.R. Worsley. She had already been working on the Daoist tales of the acupuncture points for five years became the self published Characters of Wisdom. That was the book that attracted my attention. A friend mentioned it, regretting that printed versions cost over two hundred dollars. I was intrigued by the idea that the Chinese had attached symbols to each of the acupuncture points. I wanted to read this road map of my own body. So I downloaded it for my Kindle cloud reader and found a kind of masterpiece. Poetry about the human condition, a meditation on the powers of body and soul, this list of points is also a list of inner perspectives on life and health. Reading them you learn to visualize your body in a new way. Parts of yourself you may have never before paid any attention to suddenly have purpose. A rich river of metaphor, Characters of Wisdom reads like an epic poem of self knowledge. Currently Debra teaches a regular once a month study day during which she provides instruction in the healing methods she knows. She recently set up the Spiritual Healing Arts Society, an accreditation body for quality of healing work open to a wide variety of disciplines drawn from international sources. She lives between France and England (where she has a two hundred year old cottage and an allotment with over sixty wild medicinal plants and vegetables growing year round). As a feminist I admire her dedication and desire for knowledge. She did not accept the imposed answers of her society, instead she set out to explore the world with faith that healing didn’t have to come from the American Medical Association, and there was more to religion than churches, mosques, and temples. In her Kindle book Bringing Light into the World, Debra describes her many journeys. She went on sacred climbs in Mexico in the Sierra mountains with the Huichol shaman Don Loupe. 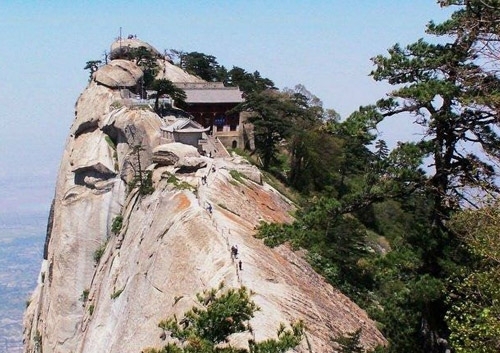 She spent time in China climbing Mount Huashan, home of Daoist temples since the 1230’s, where she met with Daoist masters to discuss their spiritual practices, which eventually became her book The Alchemical Path. 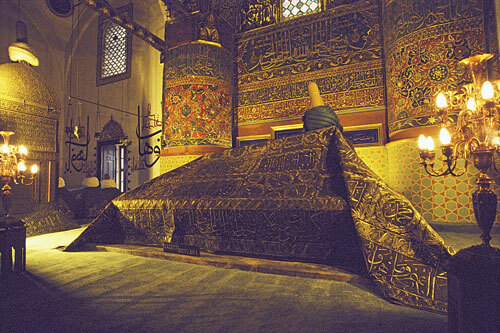 She studied with Sufi masters and had a mystical experience at the grave of Rumi (one of her spiritual practices is committing to memory each morning a line from the great Persian poet’s masterpiece the Masnavi). Debra visited monasteries in Tibet where she studied Buddhist healing practices. 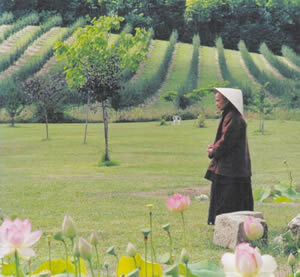 She spent time with Vietnamese Buddhist monk, writer and activist Thich Nhat Hanh in Bordeaux, France. She has also visited most of the Celtic sacred sites in England participating in the healing ceremonies of the seasons. Bringing Light into the World is reminiscent of an almanac, a collection of inspiring prayers and meditations, it ranges from personal anecdotes about dealing with ghosts, a skill she has had since she was a child, to personal remembrances of experiences with masters she has visited around the world. I had the fortune to interview her lately about her life’s work and philosophies. What inspired you to leave the U.S. to study in England? I received a scholarship to study at East Anglia and fell in love with England so stayed. I worked in a children’s home for four years to earn my residency. What motivated you to rehabilitate that ruin in France and turn it into a school and garden? At that time I had been living in France for over twelve years. One day the taxi driver asked me if I was interested in buying a ruin. I had very little money but the ruin was in the midst of beautiful Roman terraces. Because of my limited resources I built the house myself with some help from Jean Pierre who needed three coffees in the morning to put him up to speed for the rest of the day. I lived in a wooden garden shed while I built the stone walls, put in windows and then had the village lads help with the roof. When the house was done I cleared the gardens by hand slowly preserving all the wild medicinal plants. 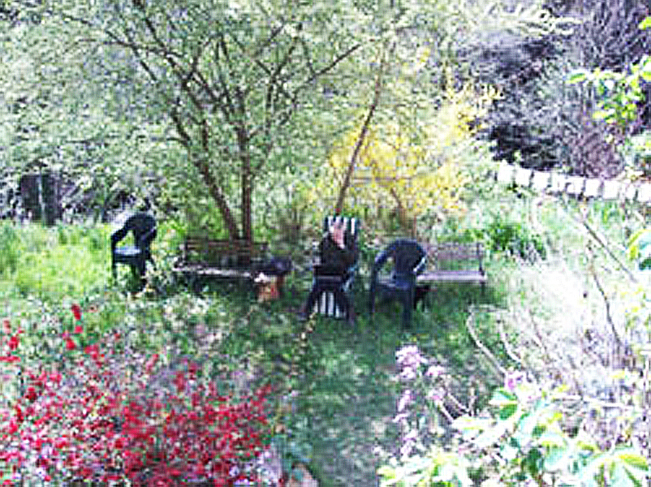 The garden has over 100 naturally growing herbs as well as wild fruit trees and strawberries. All the wild bugs have returned and even the wild animals walk through without harming anything. When and how did acupuncture enter your life? Acupuncture entered my life about twenty years ago. I met a lovely man from Japan who taught me the pulses and the points. It was then I started to learn Chinese and read about their lovely stories. Twelve years ago I learned more about five element acupuncture with Suzanne Burnell and went to Mexico to meet Don Loupe. It was through Suzanne and my work on the chinese characters that I met J.R. Worsley. Tell us a story about J.R. Worsley you think everybody should know. J.R. Worsley used acupuncture to help people get back on their path. When he was treating the only important person in the room was the person he was treating. He would talk directly to their very being. I would watch how with just a few points people would sparkle again with life and change their lives. Once in a seminar he talked about Palace of Weariness which is a point on the Heart Protector. He said, ‘This is a place where our patient can be taken to all the riches of the Imperial palace, the love, the warmth, the soul music and the peace.’ When he used this point on a patient you could literally see them sinking into this beautiful place within themselves. Same question for Don Loupe. Don Loupe always was stirring things up to confuse people so they would let go and enter the spirit world. I remember coming down from a sacred climb to the wind tree and having a vision of how sacred springs rejuvenate the world. Suddenly Don Loupe was next to me and simply said, ‘For the rest of your life you must honour this.’ Since then, each morning I say the sacred prayers to the goddess of all springs. Same question for Thich Nhat Hanh. Thich Nhat Hanh floats on a cloud of peace and great joy. When sitting in his presence I was always wrapped in the peace of being heartfully present in each moment. One day Thich Nhat Hanh did a healing ceremony. The great drum was sounded, the bells rung, the chanting of all the Buddha names began. Suddenly I could see one Buddha after another entering the room until they were all present healing everyone. I love the story of when Thich Nhat Hanh was to lead a walk in New York for Peace. There along the road were thousands of spectators, hundreds of police, and thousands of peace marchers. Thich Nhat Hanh looked at everyone and said to the Buddha, ‘I can’t do this.’ The Buddha replied, ‘Take my hand.’ And so the Buddha lead the march holding the hand of Thich Nhat Hanh. What happened was everyone marched including the police. Same question about your grandma. What did your discussion with Elizabeth Rochat de la Vallee focus on? Let us say Elizabeth and myself were pure focus. We met one day in Paris and Elizabeth drank two espresso coffees and proceeded to go through my notes correcting the odd chinese character here and there. We were through 365 characters in just under four hours. How does your Sufi training relate to your acupuncture practice? Both are about always being present in the love and joy of life. Do you find yourself tending wayward ghosts these days? If I run across one they are always tended to. You’ve been communicating with plant spirits since you were a child, long before books about Ayahuasca shamanism became popular. Please tell us how communication with a plant can lead to healing. The plant knows what it is doing and just tells me. Can you please share an example of a profound healing experience? I think for myself when I went to Rumi’s tomb and felt the immense love and light pour into my heart, it was overwhelmingly beautiful. With patients it happens all the time watching them re-find that sacred peaceful love within themselves. One patient said it was better than making love, another said it was like returning home, and another said it was like being a giant able to conquer the world. What are the three herbs you would never do without and why? Because I have a spiritual link with plants they are always present so I don’t actually need their physical form. What line of Rumi did you learn this morning?